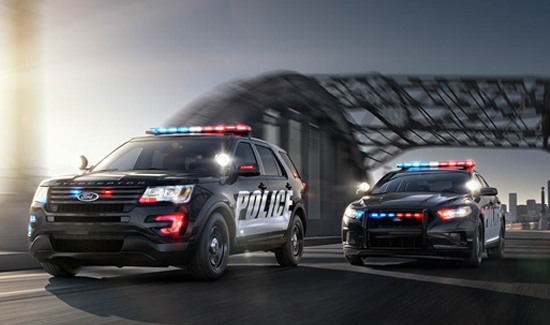 The Ford Police Interceptor Sedan and Utility vehicles gained six points of market share for 2015, according to Ford analysis of the latest registration data from Polk/IHS Automotive. Introduced in 2012, Police Interceptor Utility quickly became America’s best-selling police vehicle – which has helped Ford capture 61 percent market share through June 2015. 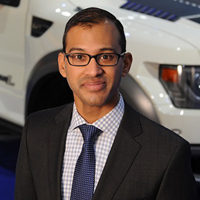 “It’s been amazing to watch the transition from the Crown Victoria, which was universally loved and trusted, to the new Police Interceptor Sedan and Utility lineup,” said Raj Sarkar, general marketing manager at the Ford North American Fleet Division. Police Interceptor Utility is the only pursuit-rated midsize utility available to law enforcement. Both sedan and utility are the only pursuit-rated vehicles with standard all-wheel drive. More information about the Ford Police Interceptor lineup, including details on updates to the 2016 utility vehicle, can be found at the Ford Police Interceptor website.